I’m sure many of you have heard about Hello World Live, perhaps you weren’t aware about the event prior however it has been featured in the media and on social media since. Sadly most of this attention has cast a negative light on the event so I wanted to share our experience with you. Hello World Live was a never seen before event bringing together everyone’s favourite YouTuber’s in what was billed as an immersive experience and something different from your usual meet and greet experience. I purchased tickets for my daughter as a surprise Birthday present to celebrate her becoming an official teenager! Being the most difficult person on the planet to buy for and the fact that she spends a large portion of her time watching people doing goodness knows what on YouTube it was the perfect choice of gift – despite the 7 hour round trip to Birmingham! There were three choices of tickets available for the event – VIP, standing and evening show only. I chose the standing tickets which enabled us to take full advantage of all Hello World had to offer. Our tickets allowed us access to both the daytime and evening element of the event with access from 1PM to the Main Street. I have to admit at this point that my knowledge of the YouTube community was very limited – I knew who Casper Lee, Joe Sugg and Zoella were and as far as the rest they could literally have walked past me in the street and I would have been none the wiser. 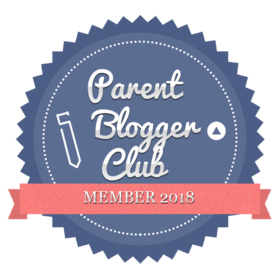 I had no idea what to expect from the event especially with it being new and truly thought I would be bored out of my mind, but willing to endure it for the sake of my daughter – the things us Mum’s do! I can hand on heart say though that I thoroughly enjoyed the day. When entering the arena it was difficult to know what to look at first having been confronted with a massive mock up street and dozens of different zones to explore. My attention was immediately drawn to the large emoji house which took centre stage and in my opinion looked very like the one a certain cartoon pig resides in! Also it was hard to miss the enormous arcade game with its person size joysticks and large buttons. Other areas included the beach, where you could see a number of bands performing throughout the day including The Vamps, Over Atlantic and The Shades to name a few, a cinema where you could relax and watch classic YouTube clips, a school where you could see and participate in lessons given by the stars themselves, a bakery, a beauty shop, a bookshop and Zoella had her very own Winter Wonderland. There were also stalls selling popcorn, pick and mix and drinks dotted around plus a huge piano like the one featured in the film Big – have always wanted to be a big kid and try one! We hadn’t a clue where to start and were quite overwhelmed, however on arrival at the arena we were given a Hello World newspaper that provided us with a map and timetable of events which helped us to plan day. We visited most of the areas although decided not to visit Zoella’s Winter Wonderland as the queue was massive and we would have missed out on other things. Also we were slightly disappointed to find that the book signings taking part in the bookshop had to be pre booked at an extra cost, something I was never made aware of, but wasn’t a major issue for us. We attended a number of the ‘classes’ at the school which were really funny and gave fans a fantastic chance to see their favourite creators in action with many of them offering active participation as well as a Q&A with the audience afterwards. I personally loved watching the different stars compete against each other on Street Fighter at the arcade machine – it was hilarious and despite the fact I was pretty clueless about what the majority do on YouTube I could instantly see their appeal. My daughter managed to get a number of selfies with different creators and most importantly with her favourite KSI. She also had the chance meet and chat to boys from The Shades who spent some time down on Main Street ‘busking’ and meeting fans. This was definitely the highlight of my day, they were lovely and are so talented too. The evening show was just as good featuring a dramatic entrance in a broken down VW camper van, game shows and music it kept everyone entertained and gave everyone the opportunity to participate in the vlogs and pictures that have since appeared on the creator’s social media. We attended on the second day of the event and having read loads of people slating it after day one I really was thinking I had wasted my money, but this couldn’t have been further from the truth we came away having had a fantastic (but tiring) day which I would happily attend again. I feel that the bad press given to Hello World was down to ticket holders expecting to meet and greet all of the stars personally, which if thought through logically was never going to happen we would have been there for days! The only thing I didn’t see that was advertised on their promotion was carnival rides and it was only afterwards I realised this so it wasn’t a great miss. I really hope that the organisers and participants of the event aren’t discouraged from holding another in years to come as we would definitely be first in the queue for tickets. In my opinion, Hello World was such an amazing experience to be part of. Many people may have different views, but I had such a wonderful and fascinating time. I got to meet JJ (KSI), who has around 17 million subscribers, and many others including Rose and Rosie, who have about 700 thousand subscribers. I wasn’t expecting to get a picture with all of my favourite YouTuber’s but I was very happy with the number I met and got pictures with. Throughout the day, I visited many different places such as the school for Joe Sugg’s and Casper Lee’s class on how to vlog and how they came into YouTube and Oli Whites challenges, which were both really funny in their own ways. Overall, I think that Hello World was a great and unique experience and a great birthday gift for many older children to teenagers! I really enjoyed my Hello World experience and would go again if this event pops up again, I would definitely recommend this to a friend for an amazing and fantastic day out! There has been a lot of negative press about it so was keen to write from our perspective 👍🏻 I wouldn’t hesitate to buy tickets if they organised another one.